An Environmental Site Assessment (ESA) is undertaken as a systematic, phased process, as defined by the Canadian Council of Ministers of the Environment (CCME), with well defined objectives. A Phase I ESA is a study to determine if there is potential for adverse environmental impact on the subject property. A Phase II ESA explores, determines or confirms the actual presence or absence of adverse environmental impact in excess of regulatory criteria. A Phase III ESA evaluates the extent of the adverse environmental impact and acquires sufficient data for the preparation of an environmental site remediation. The Phase I ESA, as per the Canadian Council of Ministers of the Environment (CCME) and the Canadian Standards Association (CSA), is required by financial institutions and for facility owners, operators and purchasers, to demonstrate "due diligence" in order to mitigate risk associated with impacted properties. An ESA may document "baseline" or current conditions to avoid liability for future environmental impairment. In some cases, property owners/managers may rely on a Phase I ESA to hold lessees accountable for activities leading to adverse impact. 1. A review of all available information and documentation relative to the property regulatory records, municipal directories, insurance records, topographic maps, aerial photographs, planning documents, title search information, surficial and bedrock geological mapping, data from libraries and/or other media, etc. 2. A site visit conducted with someone familiar with the subject property to identify the physical characteristics of the subject property, infrastructure (e.g. underground utilities), hazardous materials or substances, above ground and/or underground storage and distribution equipment, odors, staining, etc. The site visit also identifies issues associated with adjacent properties as well as potential environmental receptors and a preliminary level of risk and/or liability. 3. Interviews with individuals familiar with the subject property, past and present operations and activities (e.g. former and current site managers and personnel, federal, provincial and municipal regulatory agencies, engineering and works representatives), to identify activities which may have impacted soil and/or groundwater. 4. Preparation of a report with supporting documentation. such as photos and communications. The report identifies any limiting conditions to the investigation and clearly states that there is, or is not, potential for adverse environmental impact at the subject property. If there is no potential impact, no further action is warranted. If there is potential impact, recommendations may be made, including additional assessment (e.g. Phase II ESA), to confirm the presence or absence of adverse environmental impact. The Phase II ESA, as defined by the CCME and CSA, involves intrusive testing of materials, air, soil, surface water and groundwater, to identify and/or confirm the presence or absence of adverse environmental impact. The key to an effective and accurate Phase II ESA investigation is the collection of representative samples and the preparation of defensible conclusions by experienced professional and technical staff. A Phase II ESA is undertaken if a Phase I ESA determines there is a potential environmental risk on a property. The Phase II ESA investigates surface and sub-surface impact and provides a characterization of the site conditions to determine if further assessment and/or remedial work is required. The investigation can include the collection of soil, surface water, sediment and groundwater samples. 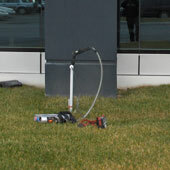 Geophysical surveys and soil vapor surveys to identify buried infrastructure and/or contaminant plumes may also be used. 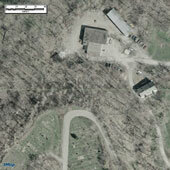 The investigation may include a hazardous materials survey of buildings or structures. 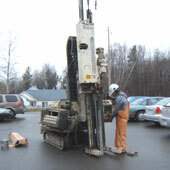 Representative samples are obtained from test pits, boreholes and/or monitoring wells. The number, the location and the specifications of the sample sites are determined by the site conditions and in consultation with the client. Prior to any subsurface investigation, the locations of underground utilities and services are investigated and confirmed. Constituents of concern are identified, sampled, analyzed and the laboratory results are compared to the applicable regulatory standards. If the Phase II ESA identifies adverse environmental impact in excess of the applicable regulatory guidelines, additional assessment, such as Phase III ESA, a risk assessment and/or remediation work may be required. The primary objective of a Phase III as defined by the CCME and the CSA involves intrusive testing of materials, air, soil, surface water and groundwater, to identify and\or confirm the presence or absence or adverse environmental impact. The key to an effective and accurate Phase III ESA investigation is the collection of representative samples and the preparation of defensible conclusions by experienced professional and technical staff. Detailed delineation of identified constituents of concern in soil, sediment, or groundwater. 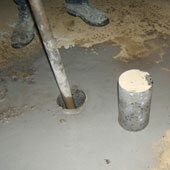 Test pits, boreholes and monitoring wells are used to obtain representative samples for detailed laboratory analysis. Calculation of the volume of impacted soil and/or groundwater. Investigation to determine pathways of movement or migration of contaminants through soil and groundwater and the preparation of "fate and transport" and "risk assessment" models. These are designed to determine how long it will take and in what concentration a contaminant will reach a receptor. Notification of the appropriate regulatory body as required. Early involvement of provincial regulators can facilitate transition into remedial action and hasten closure for a contaminated site. Determination of site specific remedial goals (e.g. generic values or site specific values generated through a quantitative risk assessment). The volume of impacted material requiring treatment may be reduced by applying a Quantative Human Health and/or Ecological Risk Assessment to establish site-specific clean-up criteria when applicable. Development of feasible remedial options (including time frame and costs) for consultation and approval by the client and submission of the Environmental site remediation to the regulator. The options must include consideration of physical/chemical limitations, construction requirements, environmental as well as health and safety implications, regulatory approval and public perception. In some cases, a site specific risk assessment to identify and evaluate exposure pathways and receptors can eliminate the need for costly excavation or other remedial treatment options. This may result in a significant reduction in disruption to the subject property and any on-going or continuing operations, and therefore, significantly decrease overall project costs. Qualitative Risk Evaluation investigates and evaluates active exposure pathways and human or ecological receptors. Risk to human health and/or the environment, can be defined as the intersection of contaminant, pathway and receptor. If an active exposure pathways (e.g. potable water supply, dermal exposure, etc. ), can be limited or eliminated (e.g. alternate water supply, asphalt or concrete seal on the area of impact, etc. ), the degree of risk can be reduced or eliminated. Therefore, a qualitative risk assessment may limit or reduce the requirement for disturbance and/or active remediation. We have learned that such projects are usually done on a tight time frame and we have demonstrated experience pulling together, in a timely manner, the essential information in a management format decision tool document. Our basic model centers on what we call a “Hybrid Phase I Site Assessment and Limited Compliance Audit”. In the case of a multi-site acquisition, we mobilize qualified teams to visit each site, in many cases concurrently. Over the past four years, we have established strategic alliances with major international environmental consulting firm with offices worldwide. Combined with our local office and fully bilingual professional personnel, we deploy teams rapidly and efficiently throughout North America as well as overseas. The teams visit the sites armed with a uniform inspection checklist and report back to our central location (usually established at the client’s office) via conference call upon completion of their individual inspections. A senior professional moderates the conference calls and extracts the salient points from the inspectors’ debriefing. The individual inspection teams subsequently prepare a formal report which follows within an agreed upon time frame. This document can then be used as a high level decision tool to quickly assess the material issues which could negatively affect the transaction. We can also add significant value in the areas of finance and accounting, having an experienced Chartered Accountant on our senior staff. In the past year we have conducted two such projects for a major Canadian equity fund and one for a privately held manufacturing entity. The combined value of these three acquisitions was in excess of $350 million.